OXFORD, Miss. 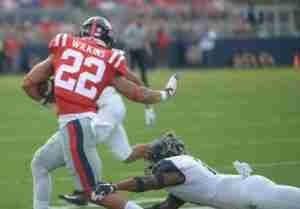 — Indianapolis Colts’ general manager Chris Ballard made it clear that athleticism is one of the traits he and his front office value the most—and they proved it by selecting former Ole Miss running back Jordan Wilkins in the fifth round of the 2018 NFL Draft. 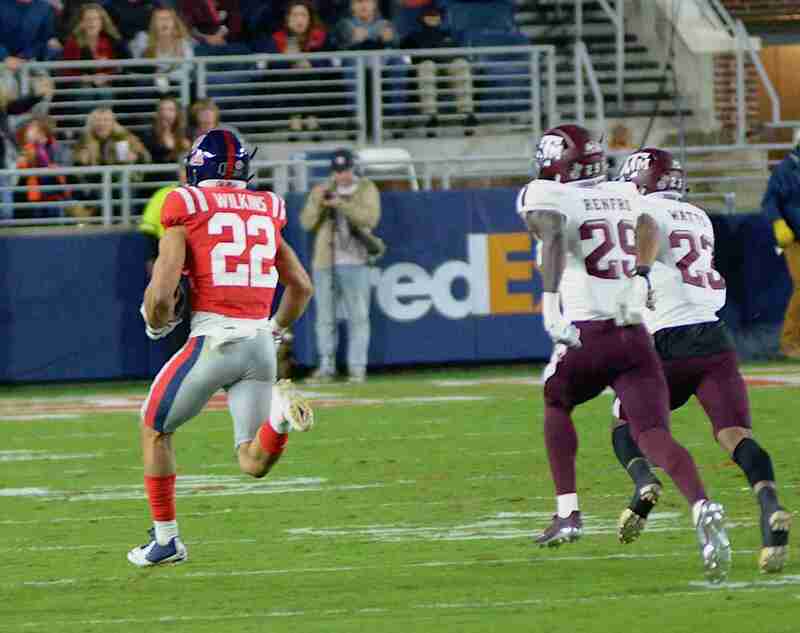 Wilkins, shown here against Texas A&M, became Ole Miss’ first 1,000-yard season rusher since 2009. Wilkins’ athleticism could lead him to become an integral part of Indy’s future. The Colts decided not to bring back veteran running back Frank Gore for his fourth season (14th overall) with the organization, and decided, instead, to go with the young talent in this year’s NFL Draft. Wilkins could be just what the Colts need. Struggling to run the football last year, Indianapolis gained just 103.8 yards per game and finished the season ranked 22nd in the NFL. However, second-year GM Ballard is hopeful things will be different following his selection of a team-record 11 picks in this year’s draft. The Colts indeed accomplished that with their two selections at running back—N.C. State’s Nyheim Hines in the fourth round with the No. 104 overall pick, and Wilkins with the No. 169 pick. In 2017, Wilkins became the first 1,000-yard rusher for Ole Miss since 2009. And though he will be competing against other backs in the Colts’ rotation (who include Josh Ferguson, Matt Jones, Marlon Mack, Christine Michael, and Robert Turbin), Wilkins is entering an Indy backfield that is currently without a set starter. His balance, vision, and agility are part of what caught the Colts’ attention. After the draft, Ballard explained why he is so pleased with the Ole Miss standout. “Jordan Wilkins, now he’s an interesting runner,” Ballard said. Not a bad comparison for the rookie Wilkins–as Forte had a successful career with the Bears and Jets before retiring after 10 seasons in the NFL. Forte established himself as a dual-threat running back, capable of earning yards as both a rusher and receiver. 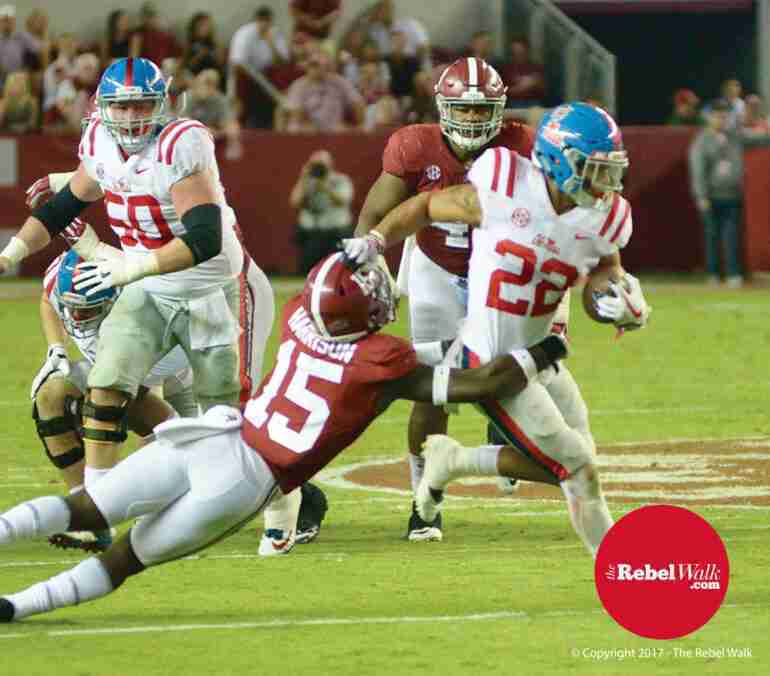 Last season, Wilkins rushed for 1,011 yards and nine touchdowns for the Rebels, while averaging 6.5 yards per carry—ranking him second in the Southeastern Conference in yards per carry. He also rushed for 101 yards against Alabama and capped off his Ole Miss career with a 110-yard performance against Mississippi State in the Egg Bowl. He tallied at least 110 yards per game in the Rebels’ final three games of the year. Though ESPN’s Mike Wells suggests Wilkins will have to show he can catch the football out of the backfield in Frank Reich’s offensive system, that won’t be a problem for the sure-handed Wilkins. In 2017, he proved he has the ability to contribute to a pass-happy offense. Pro Football Focus calculates that Wilkins’ 13.4 yards after catch per reception ranks him third among 2018 NFL Draft RBs. Wilkins was a solid target out of the backfield for Ole Miss quarterbacks Shea Patterson and Jordan Ta’amu last season, catching 26 passes for 241 yards and one touchdown in 2017, while averaging 20.1 yards per catch. 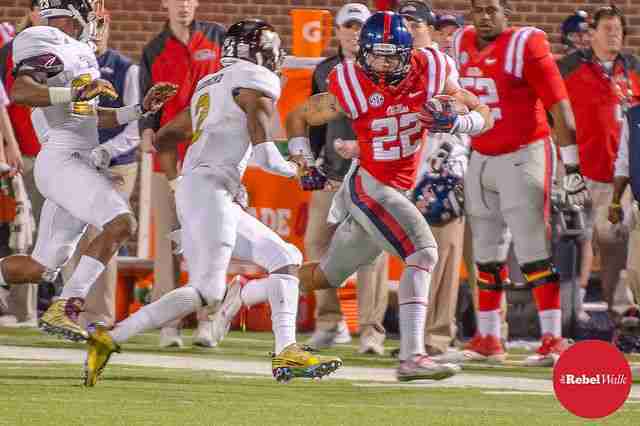 “I want to be more than just a third-down back, but whatever my role is, I’ll take it with a chip on my shoulder and try to excel in it,” Wilkins said at Pro Day at Ole Miss back in March. Standing at 6-foot-1 and weighing 216 pounds, the Cordova, Tennessee native is a big back who can take a hit and keep moving downfield. 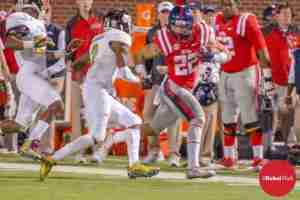 Wilkins has speedy legs and is very hard to catch once he breaks out in the open field. Under Reich, the Colts are expected to implement a heavy zone-blocking scheme, especially since Indianapolis took offensive guards Quenton Nelson (Notre Dame) and Braden Smith (Auburn) in the first two rounds. Wilkins has the ability to be a one-cut performer in a zone scheme—he gets downhill in a hurry and can shake a defender with his agility. With his capacity to block, catch the football in the backfield, and succeed as a downhill back, Wilkins could quickly flourish under Reich.